We have seen huge success at our Dominion site in Doncaster, with just 4 plots left – including our Gold Specification Hambleton showhome. Homes at the Dominion development have been snapped up by couples and families in search of their perfect new home, and the high-demand means that we have now put our flagship showhome on the market. 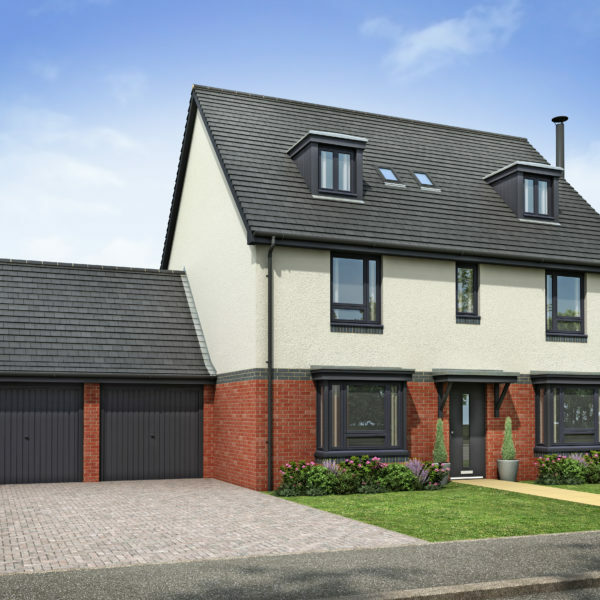 The 5-bedroom, 3-storey Hambleton detached with double garage boasts many luxuries that families would not usually benefit from in a standard new-build home such as underfloor heating and bi-fold doors leading to the sizeable back garden. On top of these impressive extras, there are also carpets, curtains and light fittings installed throughout. Part-exchange is available on the property, eradicating the possibility of any potential buying chains, as well as losing the need for estate agents fees. “This is a brilliant property for any family to move straight into, and a lot of the stresses and strains of moving have been taken away for any potential buyer” said Vanessa Gregory, our Sales and Marketing Manager. This luxurious house is on the market for £395,000, the same price as a standard Hambleton – meaning that a potential owner would benefit from a terrific value for money purchase. “Dominion has proved hugely popular due to its fantastic location and the high-quality standard we deliver in all our houses,” adds Vanessa. “Our Hambleton showhome is the cherry on the cake and a value-for-money purchase thanks to its Gold Specification features throughout. The only thing required in order to make the property liveable, is furniture!”. Enquiries for this or any other Fairgrove home can be made by emailing info@fairgrove.co.uk or by calling 0115 944 6700.